The general public of Great Britain has voted to crown the least tasty and tastiest celebs in Britain. The SAUSIES awards, whose sponsor is Porky Whites – Britain’s great tasting sausage brand that dates back to 1935 – announced its winners on Thursday 25 October 2918, to reveal which celebrities the country thinks are the ultimate in great taste along with those who leave them with a really bad taste. In order to determine winners in the fiercely contested categories from Politics and Radio to Sport and TV, hundreds of votes were cast online. Voters were asked to take the celebrities’ behaviour, personality, style, and looks into consideration. Holly and Phil were voted as the Tastiest TV duo and received almost half of all of the votes that were cast. They bat out Bake Off’s Noel and Sandi as well as Strictly’s Claudia and Tess. One voter said that Holly and Phil have such excellent chemistry and they go together like mash and sausages. Former model and current film producer and actor Tom Hardy won the tastiest male award. A voter commented that is is not only very good looking also an animal lover and amazing actor. Holly picked up a second award, as tastiest female celebrity this time. For first place, she beat out Stacey Solomon and Emma Willis. One male vote said, “I would definitely love sharing a sausage with Holly” (no pun intended). Another said, she is a genuine person, funny and gorgeous. In the battle for claiming tastiest male breakfast TV presenter, Ben Shepard came out on top, beating out Piers Morgan, a fellow presenter on Good Morning Britain. Shephard received nearly a third of all of the votes, with votes remarking on his good looks and cheeky personality. Dan Walker from the BBC and Morgan’s arch-rival came in third place. Susanna Reid was the winner of the female breakfast TV presenter award. One vote said she is funny, attractive, and a brilliant interviewer. Another voter noted that the fact she deals with Piers Morgan proves just how patient she is. Susanna beat out Kate Garraway, her co-presenter, and Louis Michin from BBC Breakfast to win the award. According to voters, Golden Balls still has it. He won the tastiest sportsman award beating out Max Whitlock and Antony Joshua. One voter remarked that he is a very handsome man and aging very well. It’s beginning to get chilly outside, the leaves are falling from the trees, and holiday decorations are starting to pop up everywhere. Autumn is definitely in full swing! Many people love this season; you get to pull out your warm clothes once again, you get to drink warm beverages and there are a lot of parties and celebrations. However, this time of year is also busy for the fashion industry. All those summer styles officially considered last year, and new styles begin to trend. What is in store for this year? What do we need to forget about from last year? Are you hesitant to wear animal print? Do you think it isn’t very classy? Set all those notions aside, because animal print is huge for the fall season! In particular, Balenciaga, Givenchy, Tom Ford, Calvin Klein, and Victoria Beckham are all turning to zebra and leopard prints in their new lines. Since the animal print itself can be busy, the designers are opting for simple black accessories to ensure the focus stays where it belongs. Animal print will likely be popular in more than just clothing as well; you’ll see it on shoes, coats and other accessories like driving gloves. There will also be patterns mimicking crocodiles, cheetahs, and snakes. Neutral tones seem to be the favourite for this season, but there should be some exciting prints floating around as well. Are you concerned that fur prints could have a negative impact on animals? You don’t have to worry. Everyone seems to be opting for faux fur looks and staying away from real prints. It is a win win situation for all involved! Are you used to choosing clothing that is slim and trim? This year, flip that notion around! Layering is a big deal, and lots of layering is what is in season. One coat is good, but two coats are great! Why wear one shirt when you can layer a few on your body and stay warm? There are a lot of unique combinations popping up all over the globe, and it is important to keep in mind that you can be comfortable and look great, all while incorporating several different pieces into your outfit. For example, pair a sweater with a coat and scarf. Put on a dress and then add a pair of leggings, a sweater, and a coat. You’ll be amazed at how everything comes together! Just keep in mind; extra layers are a GOOD thing this year! 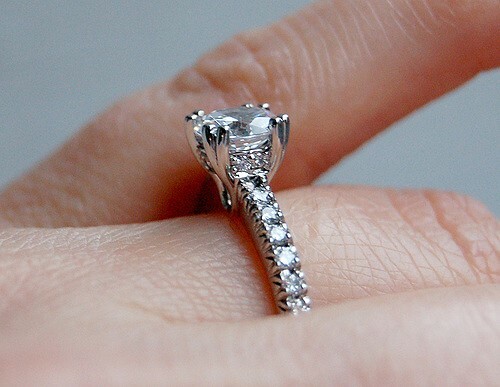 Prospective grooms have various options when it comes to choosing a ring for their brides. From a show-stopping solitaire ring to a full circled ring, there are a number of options for stunning engagement pieces. When making the decision to buy an engagement ring, the first question is usually relating to the choice of diamond. Grooms can leaf through the bridal section of jewellery store catalogues, or visit in-store to receive advice from fully trained staff. Some men try to carry out as much research as they can prior to making the purchase. They can secretly browse their future bride’s current jewellery collection to get an idea of what she appreciates. The solitaire, which is a single diamond ring, is perhaps the most popular choice when it comes to engagement options. The diamond engagement rings are undoubtedly the centrepiece and they are the sort of rings that exude luxury. Women like to show off their rings and feel dressed up. The solitaire will complement the wedding band as well as an optional eternity ring and perhaps other dress rings which she wears on the other hand. If, despite your research, you are unsure as to what your future bride would like, a safe choice is the timeless solitaire, as it’s elegant and classically simple. 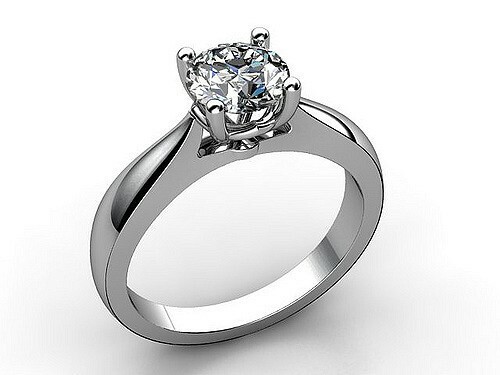 There are other options if a solitaire ring is not a suitable style for your future bride. A ring can be studded with small diamonds or gemstones. It’s worth bearing in mind that the stones are customisable and that personalised rings can be created. A full showcase of engagement rings is available from https://www.comparethediamond.com/diamond-engagement-rings. And according to Brides, Michelle Obama, who celebrated her 26th wedding anniversary, got married in 1992 with a yellow gold engagement ring set with a solitaire and a matching wedding band. Her supposedly new engagement ring is a square diamond set on a band of smaller diamonds. Some prospective grooms like to select a flashy diamond, and if that’s the case, then they have the option of different styles of diamond rings with three stones, or those that boast diamonds in the centre, surrounded by micro-pavé halo designs. An alternative option is to present your bride-to-be with a ring containing her birthstone or favourite gemstones. One of the simplest ways to switch up your style and make maximum impact, without making a permanent change to your hair, is to change the position of your parting. Side partings have been in vogue for several seasons, but now the centre parting is back. Kim Kardashian is a huge champion of this trend, and Saoirse Ronan also sported it at this year’s Oscars. Choosing a human hair wig with a centre parting is a great way to upgrade your style, but it is easy to move the parting of your existing wig. Simply use a thin comb to tease your hair into position and ensure that your parting is perfectly straight. Strong and healthy-looking hair has never gone out of vogue and this year shiny, high-gloss hair is more on trend than ever. The best way to achieve this is by regularly using an intensive conditioner on your hair, and then using a high-gloss spray across your length once your hair is dry. Mirror-glossy hair looks youthful, healthy and vibrant. This is particularly effective if you have brunette hair, which showcases gloss so effectively. Think of celebrities such as Jennifer Garner and Liv Tyler as your hair-inspiration for this look. Once you have achieved your glossy hair effect, you can finish the look by heat treating it. Both gentle curls or poker straight lengths would be the wonderful way to complete this look.